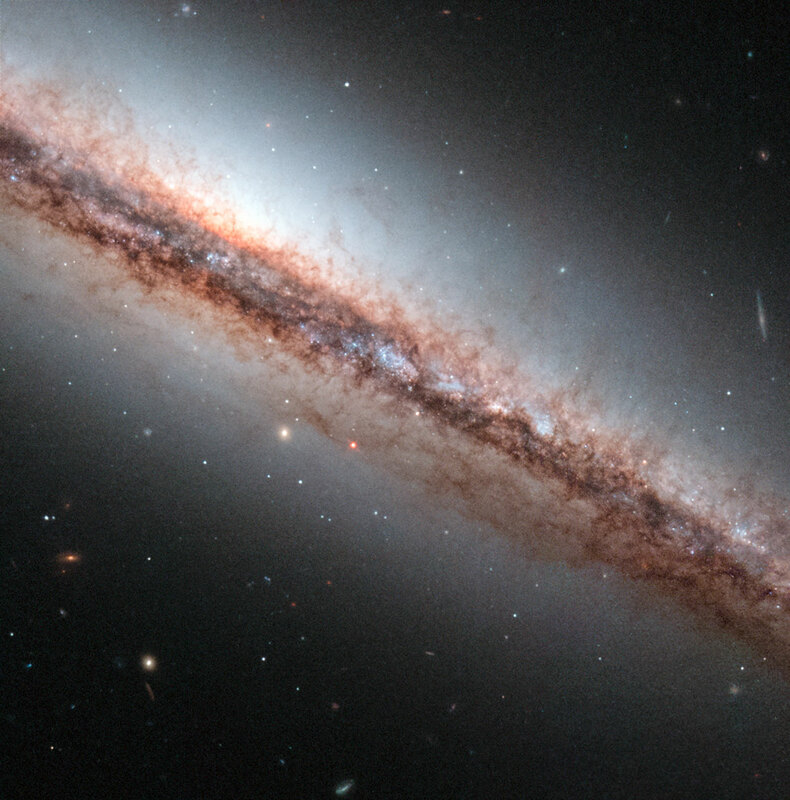 In this image the NASA/ESA Hubble Space Telescope takes a close look at the spiral galaxy NGC 4217, 60 million light-years away. 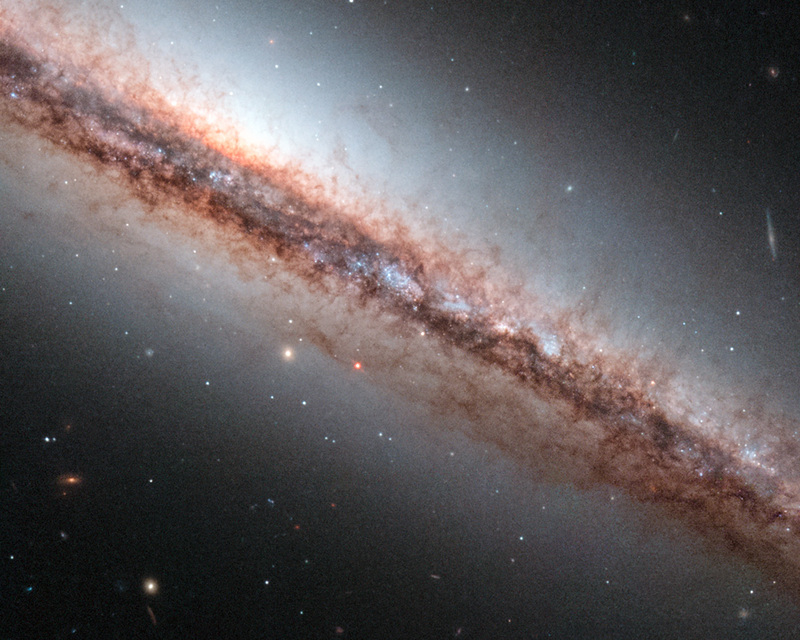 The galaxy is seen almost perfectly edge on and is a perfect candidate for studying the nature of extraplanar dust structures — the patterns of gas and dust above and below the plane on the galaxy, seen here as brown wisps coming off NGC 4217. 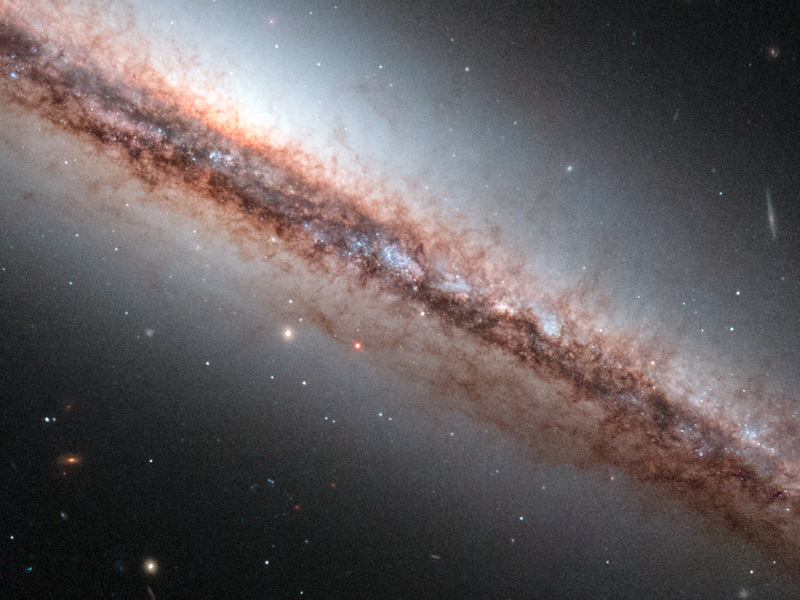 These tentacle-like filaments are visible in the Hubble image only because the contrast with their surroundings is so high. This implies that the structures are denser than their surroundings. 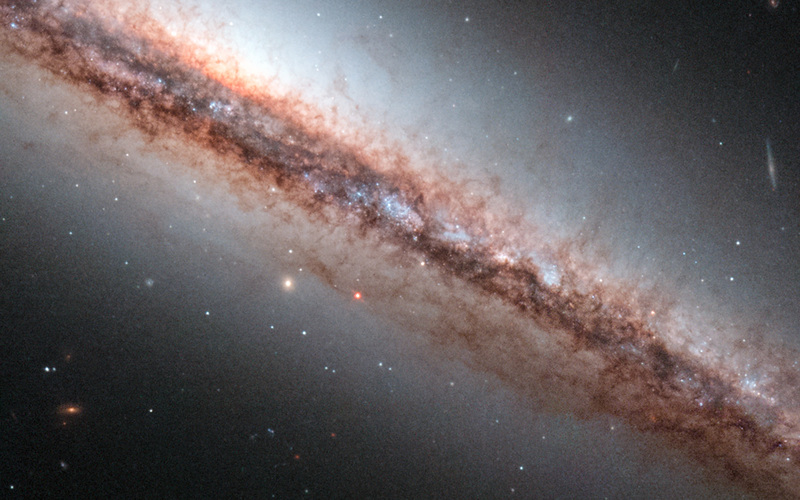 The image shows dozens of dust structures some of which reach as far as 7000 light-years away from the central plane. Typically the structures have a length of about 1000 light-years and are about 400 light-years in width. Some of the dust filaments are round or irregular clouds, others are vertical columns, looplike structures or vertical cones. These structures can help astronomers to identify the mechanisms responsible for the ejection of gas and dust from the galactic plane of spiral galaxies and reveal information on the transport of the interstellar medium to large distances away from galactic discs. The properties of the observed dust structures in NGC 4217 suggest that the gas and dust was driven out of the midplane of the galaxy by powerful stellar winds resulting from supernovae — explosions that mark the deaths of massive stars. This image was entered into the Hubble Hidden Treasures competition by contestant Ralf Schoofs. Position (Dec): 47° 5' 6.22"